I started my programming career with a big set of DOS programming in Windows. Especially in C language, which is a basic programming language. So I went over a number of personal projects I made myself to understand how different aspects of computer programming are handled. "Time Control Time" is a cracking application that controls the windows' system clock. It may be interesting for some evaluation software that stops working when system time comes to a date that ends the trial periode. 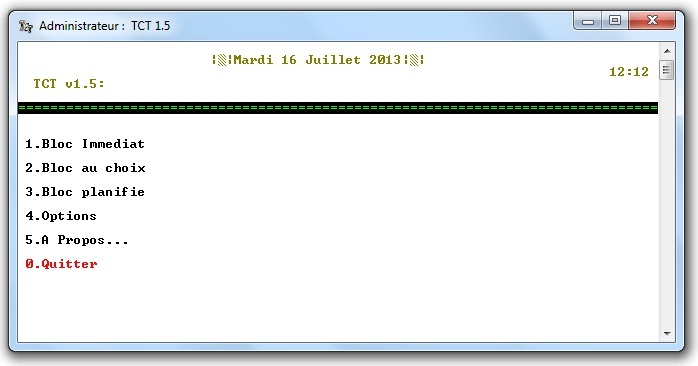 TCT can block system time and handle it then locally, by showing current time in its window instead of the standard clock in windows which will be blocked at a given time. You may block it Immediately, after a given duration or at a future scheduled date and time. You may also choose to block it temporary while on your session, or a permanent block that manages the shutting down of the whole system as well. When time is blocked, you may display the current time and date from within the TCT window. When you want to stop the time blocking, you can either continue from the blocked time, or update the time to the actual one from TCT to continue as it never stopped! 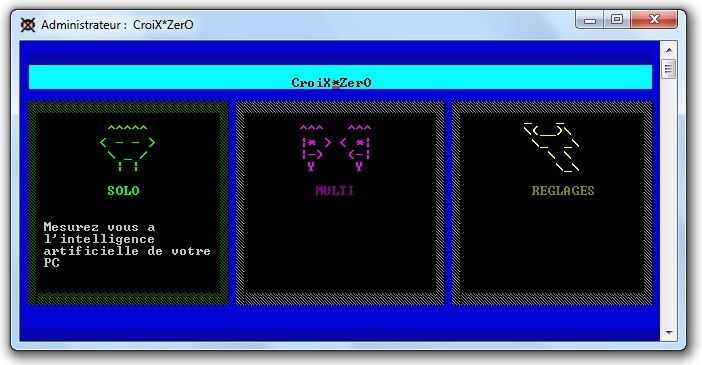 "CroiX-ZerO" is a DOS game, programmed fully in C language, with a graphical-like interface that presents three menus at start: Solo (for playing against CPU, with a three level artificial intelligence), Multi (for playing with some friends) and Reglages for settings change. 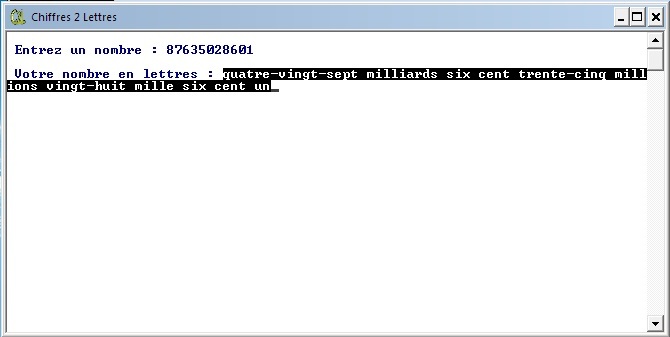 "Chiffres2Lettres" converts any given number to letters. Two applications for operating system resources managing algorithms (processes and memory).